Football runs in Jake Dolegala's family. His grandfather, Al Bemiller, played nine years with the Bills in the 60s. Following in his grandfather's footsteps was all Dolegala ever wanted to do. 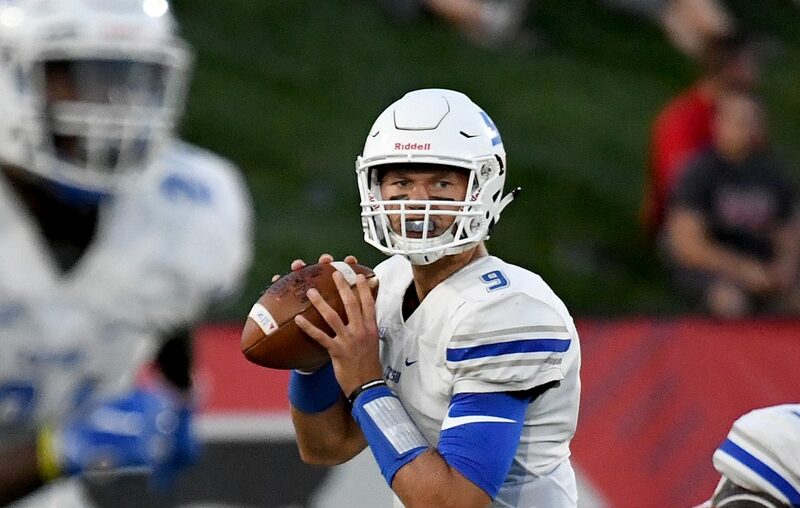 But in the third drive of his senior year at St. Francis, the year he finally took the reigns at quarterback and was supposed to showcase his next-level abilities, a tackle attempt after a throw interception resulted in a partially torn labrum. His season was over. His career was in question, too. Dolegala's surgically-repaired shoulder has been on a wild journey ever since. Jay Skurski took a deep dive on Dolegala, who, despite standing at 6-foot-6, feels he's been overlooked. “I'd love to get drafted. I think I should be drafted,” Dolegala said. “I truly believe that. I truly believe that, as far as quarterbacks, I feel like I'm top three in this class." Speaking of quarterbacks: Former Bills QB Ryan Fitzpatrick is back in the AFC East. And he's starting. Fitzpatrick signed a two-year deal with Miami worth $11 million. The Dolphins moved Ryan Tannehill to Tennessee Friday. "Fitzmagic" in Miami had the New York Post making jokes. Could the Bills still add another defensive tackle? : Brandon Beane already re-signed Jordan Phillips earlier this month. But a little more competition for Kyle Williams' old starting spot isn't out of the question. As Skurski broke down in his recent look at what Beane could do next, options at DT include Darius Philon, 25, who started 13 of 16 games for the Chargers last season.